The Victor Sun, DDS team hopes to raise $1,000 for the Boys & Girls Club of Kawartha Lakes, while making new Facebook friends along the way. 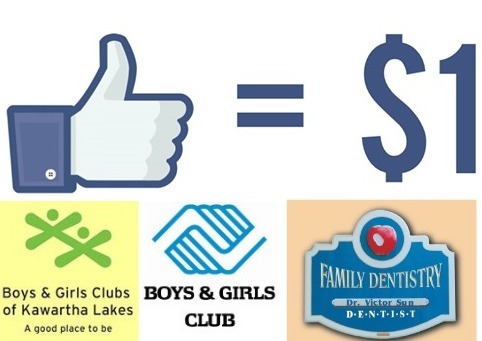 For each “like” received on the Victor Sun, DDS Facebook page, we will donate $1 to the Boys & Girls Club of Kawartha Lakes. Share this with your friends and family and help us spread the word! The Victor Sun, DDS Cutest Pet Contest!